Legacy Lockers is very pleased to announce a new manufacturing division focusing on the fabrication and installation of commercial casework, millwork and custom cabinets. 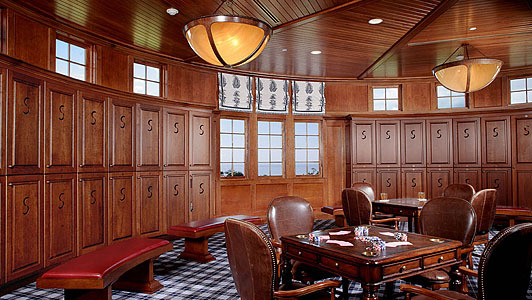 The clubhouse locker room is the one area members visit on virtually every trip to your facility. 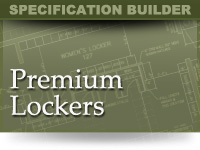 Legacy Lockers is keenly aware how important your locker room is, and takes great pride in being one of America's premier sources of custom lockers. 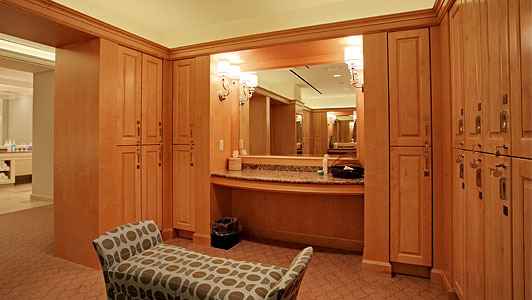 Beautiful yet functional; the hotel, resort and spa locker room helps reinforce each guests perception of quality and service. That opinion is initially set by the quality of locker door; making the warmth of Wood Veneer, Recessed Panel, Raised Panel, Raised Panel Louver, and Full Louver doors the most poplular selections for these environments. Fitness clubs must allow members to conveniently utilize lockers. As multiple members typically use the same locker throughout the day, locking mechanisms are extremely important; and Legacy Lockers offers the widest range of locking mechanisms available. Legacy Lockers has equipped medical, law, graduate and private schools nationwide with full-height hallway lockers, open-cubby classroom lockers, storage cabinets for teachers, and even custom musical instrument lockers in a variety of styles. 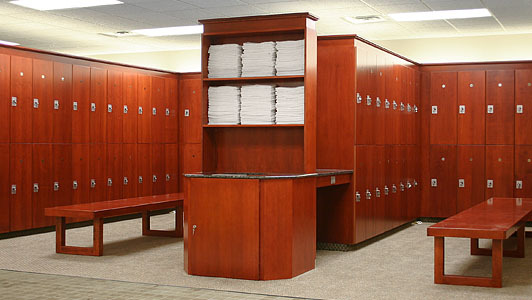 Legacy Lockers creates custom lockers and funishings for country clubs, athletic facilities and health clubs. 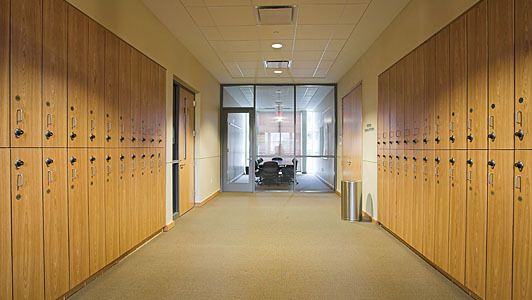 We offer lockers, athletic lockers, & wood lockers. Build your locker room online now! Premium lockers have solid wood doors available in many raised panel and louvered configurations, as well as fully custom creations to match any interior design. 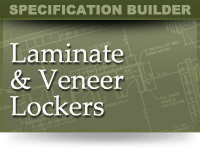 Laminate and veneer lockers have slab panel (flat) doors. Laminate surfaces are available from most popular manufacturers. Veneer surfaces are available in many popular wood species and finishes. 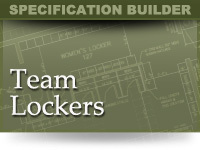 Team lockers are generally larger, open front lockers, with custom seating and storage options specifically designed for the needs of athletic team wood sports locker rooms. Looking for attractive, durable and affordable lockers – delivered quickly and ready to install? 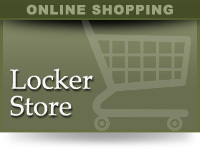 Visit our new online store and order your custom lockers online now! Our mission: Deliver the best product possible, on time and on budget, with unsurpassed service and guaranteed quality.